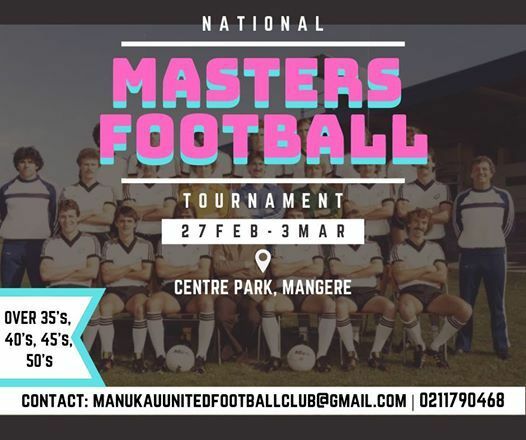 Celebrate the Masters of the beautiful game at Centre Park this pre-season. 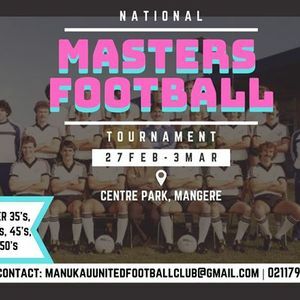 The tournament will be held at the home of tournament football - Centre Park Stadium in Mangere. This is an open tournament and we encourage teams from all clubs and communities to get involved in a fun week/ weekend of football, catching up with mates and good preparation ahead of the up-coming season.